Perform nonlinear regression to estimate individual-specific parameters using grouped data or estimate population parameters from pooled data. 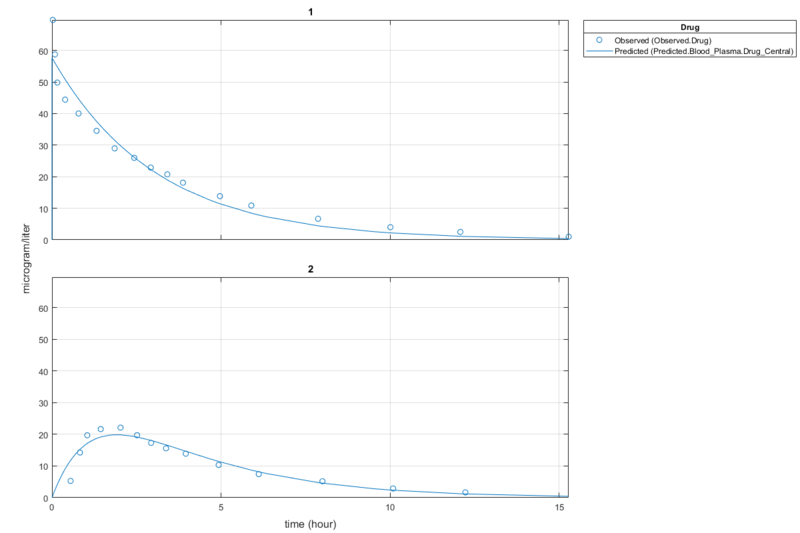 To estimate population parameters or fixed effects, while considering individual’s variations or random effects, use nonlinear mixed-effects modeling. For the summary of supported algorithms and fitting options, see Supported Methods for Parameter Estimation. SimBiology lets you import tabular data and visualize and preprocess it. For details on types of files and data supported by SimBiology, see Supported Files and Data Types. Estimate the bioavailability of the drug ondansetron. 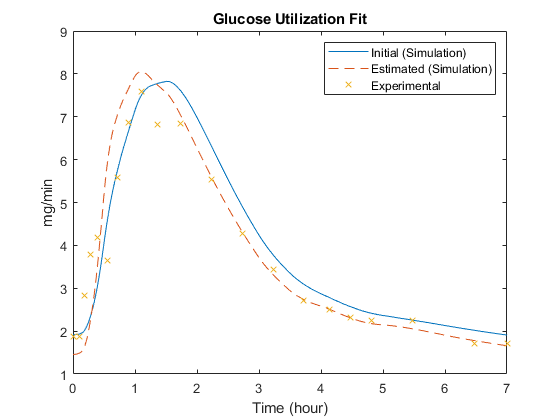 Simulate and analyze a model in SimBiology® using a physiologically based model of the glucose-insulin system in normal and diabetic humans.